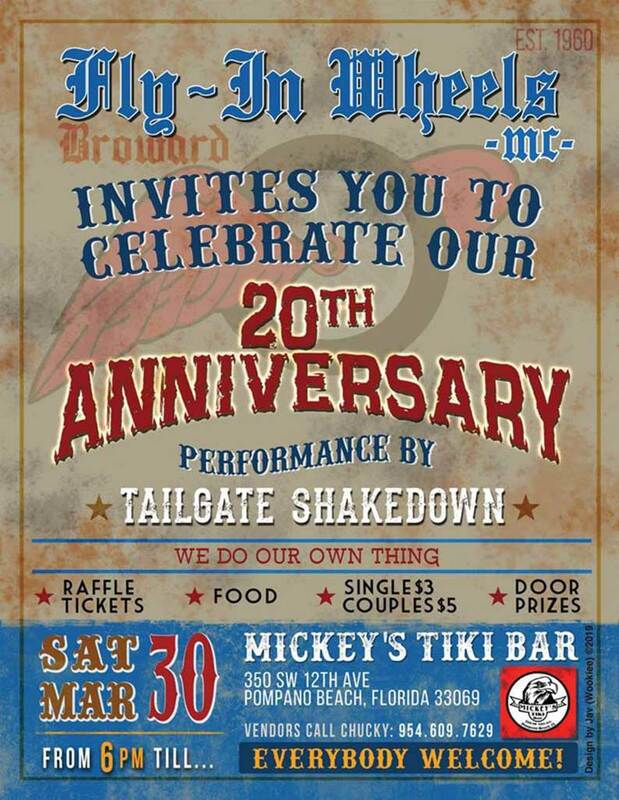 Live Music By Tailgate Shakedown. Great Food, Door Prizes, Raffles, Vendors & More! RAIN OR SHINE!!! $3 Singles $5 Couples! Everyone Is Welcome! Mickey’s Tiki Bar 350 SW 12th Ave, Pompano Beach, Florida 33069 (954) 532-2998.